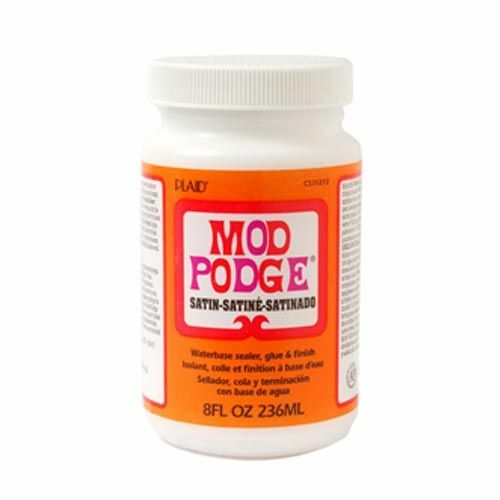 Mod Podge ® Satin is a quick-drying all-in-one glue sealer and finish for decoupaging on any surface. Dries to a clear satin finish with a subtle sheen. Perfect for home decor projects. Cleans up easily while wet with soap and water. Certified AP non-toxic; waterbase.